Hi Everyone! What a gorgeous day at the Trump National Golf Club in Palos Verdes, CA. 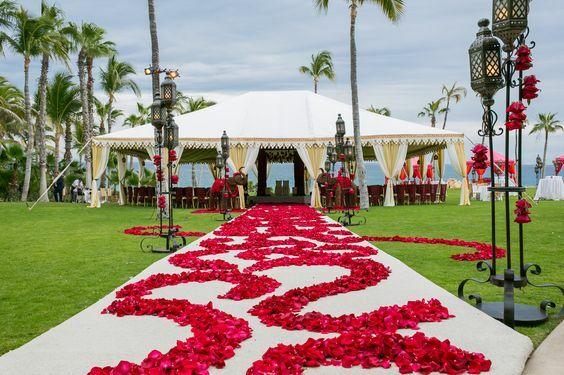 You can never go wrong with a ceremony overlooking the bright blue Pacific while the sun peers down to provide the perfect backdrop. 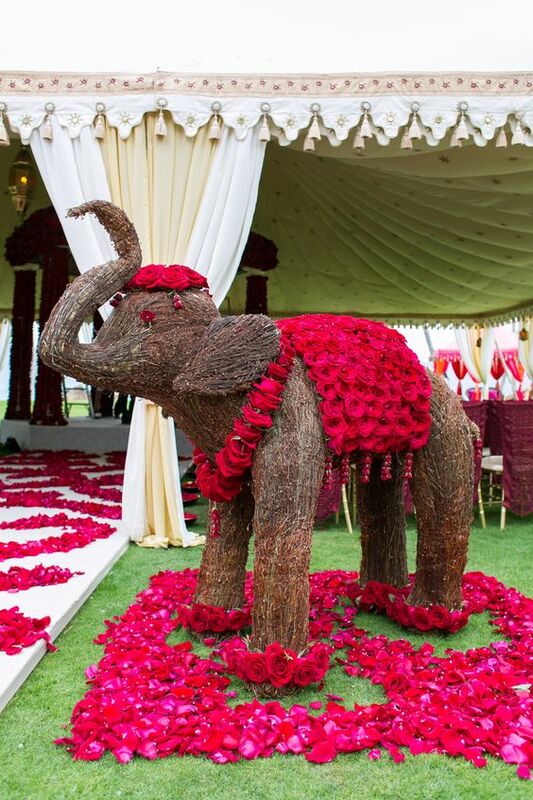 The Baraat set the tone for the rest of the day with the groom leading the procession on Tai, the star of the movie Water for Elephants. The groom's side of the family was having such an incredible time dancing and singing alongside the regal animal and it was the perfect start to the auspicious occasion. 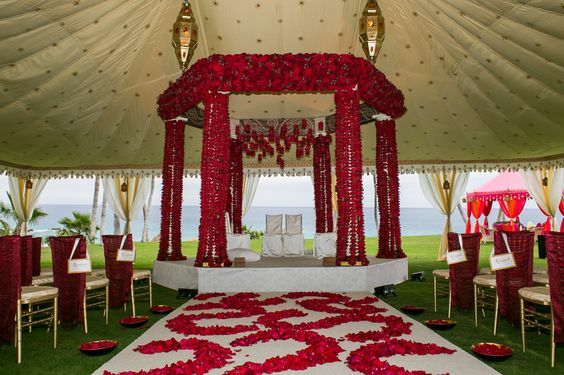 For the ceremony, the color fuschia was chosen for the Mandap as it looked stunning with the blue background. 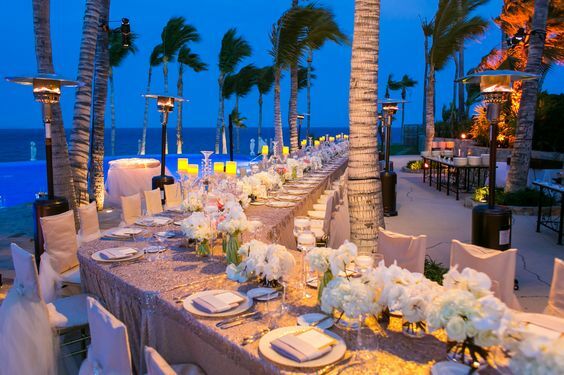 Absolutely picturesque! 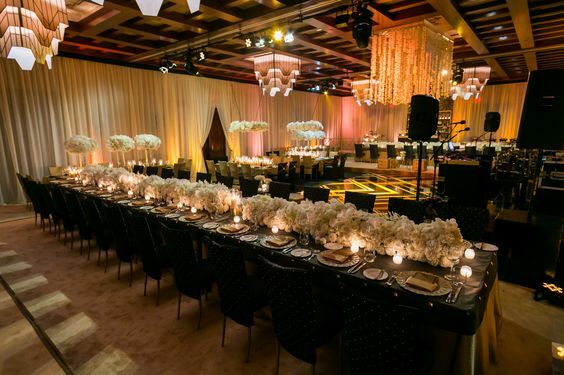 The ballroom at Trump has a lot of gold so instead of competing with that we accentuated it using golds and reds creating a look perfect for the king and queen of the evening. 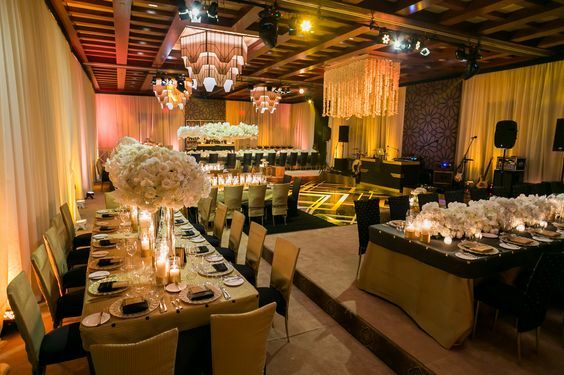 One of our favorite design elements was the gold mirrored dance floor Enjoy! This beautiful couple got married in Melbourne, Australia where they initially met as college students and now live permanently. 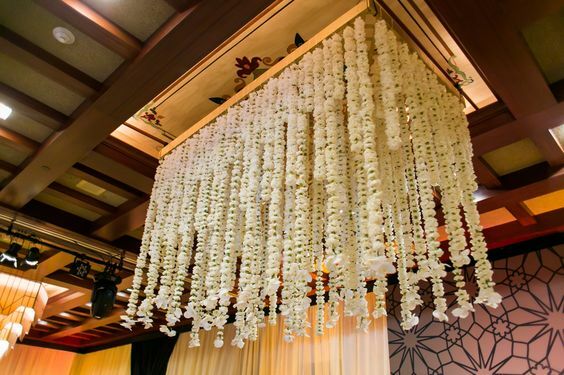 The groom is from Los Angeles so his lovely parents and sister planned their reception at the gorgeous Vibiana. It was so touching to see how involved Sandeep's sister was and how excited his parents were. 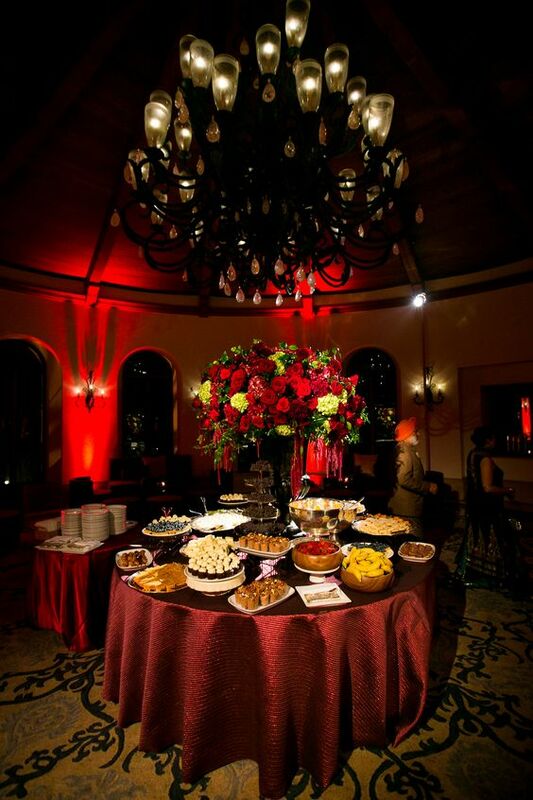 The main color scheme they went with was very regal using golds and reds and our favorite was the high gloss red dance floor that was used for the first time at their wedding! 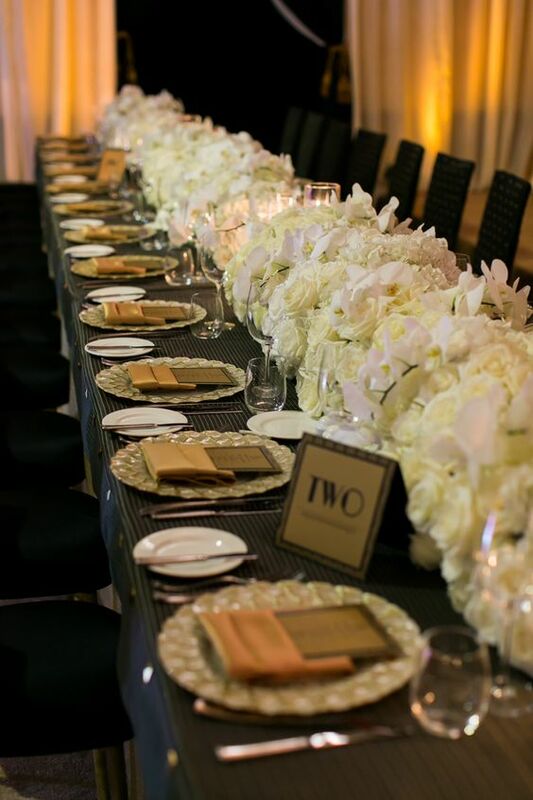 We had so much fun planning with this family! Enjoy!